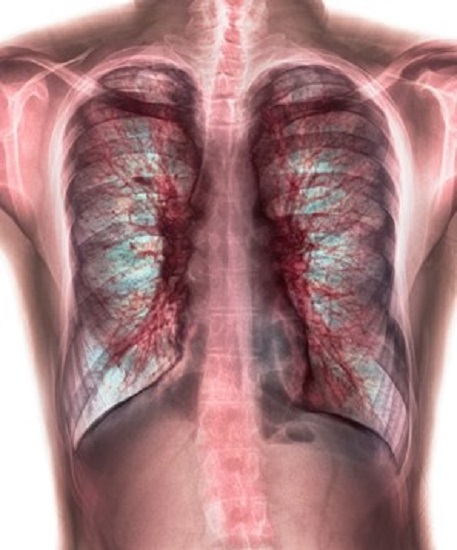 Researchers identify the mechanism cystic fibrosis uses to thicken mucus in the lungs. A team led by UC San Francisco has discovered why mucus in the lungs of people with cystic fibrosis (CF) is thick, sticky and difficult to cough up, leaving these patients more vulnerable to lung infection. The team found that in CF, contrary to previous belief, inflammation causes new molecular bonds to form within mucus, transforming it from a liquid to an elastic sludge. The team state that the research has implications for other lung conditions characterized by thickened mucus, such as chronic obstructive pulmonary disorder (COPD) and asthma. The scientists also made headway in the lab in exploring a potential new therapeutic approach to dissolve those bonds and return the mucus to a liquid that is easier for the lungs to clear. CF is a lifelong inherited disease that affects the lungs and digestive system. There is no cure. About 30,000 children and adults in the United States have CF. Until now, the medical community had thought that CF mucus is thicker than healthy mucus because it has a greater concentration of DNA polymers. To test that hypothesis the group exposed mucus samples taken from CF patients to two current CF medications, Pulmozyme, a drug that breaks up DNA polymers, and N-acetylcysteine (NAC), which targets disulfide bonds between mucin polymers. Mucin is a protein that is the major constituent of mucus. The team theorised that Pulmozyme would be more effective than NAC in liquefying the mucus, because CF sputum contains lots of DNA. However, it was observed that NAC worked much better. Using confocal microscopy, the scientists learned why; CF mucus consists of a dense core of mucin with a layer of DNA wrapped around it, like a thin blanket draped over a solid pillow. Thus, while Pulmozyme makes mucus less stiff by eliminating DNA, NAC succeeds in liquefying it by breaking up the mucin. Polymers, naturally-occurring molecules in mucus that form long chains, are the key to the discovery. The team then investigated why mucin in CF is so compacted. They found that mucin polymers become linked together crosswise by newly-forged disulfide bonds. The researchers found that inflammation causes the extra disulfide bonds to form, when mucin polymers are exposed to highly reactive oxygen molecules released by inflammatory cells in a process called oxidative stress. This observation was confirmed by a device invented by the team. In separate chambers, mucus from healthy volunteers was exposed to pure oxygen and pure nitrogen. The mucus exposed to oxygen became thick and elastic within seconds. The mucus exposed to nitrogen remained liquid. The team explain that this change, driven by oxidation, happens with other natural polymers such as latex, which starts out as liquid tree sap. When it’s vulcanized, a process of chemical cross-linking, it turns into the solid rubber used in tires. The team noted that patients who are treated with pure oxygen in hospital intensive care units have long been known to develop sticky mucus adding that this could be a function of the oxygen that’s used to treat them. Finally, the research team turned its attention to the possibility of creating new treatments for CF that would target disulfide bonds in mucin polymers directly and efficiently. NAC, which targets mucin polymer bonds, is already an approved medication used to break up mucus. However, the team state that there are problems with it explaining that it’s a relatively weak drug with an off-putting odour. The team have therefore designed TDG, an experimental compound that targets disulfide bonds. TDG liquefied mucus samples from CF patients much more efficiently than NAC. They caution that TDG cannot yet be given to human beings. The researchers summise that the new findings will explain the reason for thick mucus in other lung diseases known to be associated with oxidative stress, including COPD and asthma and that they’re very confident that they’ve uncovered an ubiquitous mechanism here. Coloured chest X-ray (front view) showing mucus in the lungs in a 28 year old male patient with cystic fibrosis (CF). The patient suffers from shortness of breath (dyspnea). CF is a hereditary disease affecting the lungs in which abnormal production of mucus can lead to severe respiratory infection. Credit: PHOTOSTOCK-ISRAEL/SCIENCE PHOTO LIBRARY.